The Chroma decoder is a device inside the Television that "decodes" the composite video signal into the RGB (Red, Green and Blue) signal to drive the CRT('s). This decoding process starts with the comb filter by separating the Luma and Chroma signals. It then gets passed onto the Chroma decoder where the signals are matrixe'd into the RGB signal that's required. This decoding process has an objective function, to decode all three components (RGB) to a level that's called for in the NTSC television system. The problem arises when manufactures start to play with these levels. 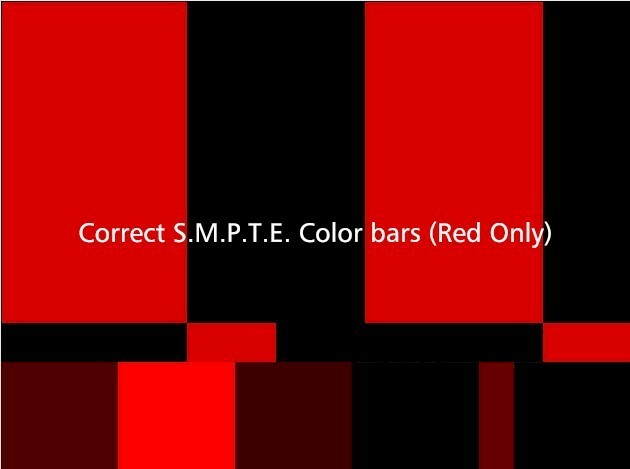 When the display device is setup to these bars as described by S.M.P.T.E. and the decoder is functioning properly (upper left bars) the process has an equal Chroma distribution level between the Red, Green and Blue components. This means that the Blue bar has a 75% saturation level, The Green bar has a 75% saturation level and the Red bar has a 75% saturation level. The manufactures in an attempt to "Make the set better" have come up with several schemes to help them. One of which is fooling around with the decoding matrix. They push the Green component to make grass look greener, or they employ "Auto Color" circuits that pull anything around Flesh tone to a predetermined value (everyone has the same complexion, right?) the most common is to push the Red component in an attempt to compensate for the increased Color Temperatures adjusted into their sets (another scheme). 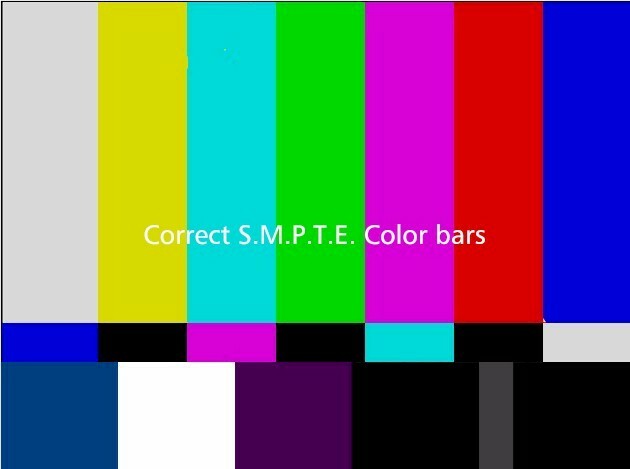 Observing the color bars above compare the two top sets. The one on the left has correct decoding levels, the right is typical of most consumer sets and shows the effect of an increased Red component. This change is very evident in the Yellow, Magenta and Red bars. The Yellow takes on an orange color, the Magenta takes on a Pinkish tone and the Red is so oversaturated that it blooms. The two sets of bars on the bottom demonstrate what is happening with the Red component (the Green and Blue colors are off). The left is correct and the right clearly shows the Red push designed into this decoder.Some set's can be calibrated and/or modified to remove this "push" in the Red component, others cannot. For those that are not adjustable the only choice is to turn the Color control down to compensate.